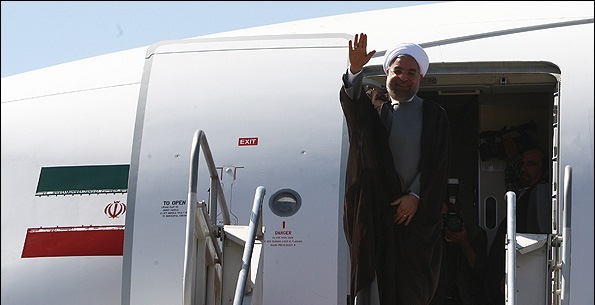 IRNA – President Hassan Rouhani arrived in Sari, capital of Northern Province of Mazandaran, on Tuesday morning, as part of its provincial tours. During his one-day stay in Sari, President is expected to deliver speeches to the local managers and the elite and inaugurate some projects through video conference. Upon arrival, President said that his visit to this northern province is aimed at surveying the progress of projects stated during his previous visit to the region and also opening some new projects. President had visited Mazandaran Province in 2015.